The August departure usually sees calmer waters so you don't spill your beer. Sit back, relax, and check out the scenery in Glenwood Canyon. There are still a couple of good rapids to toss you into the river. Calmer and warmer leads to more swimming and water fights, so bring a water gun! Appetizers and cocktails will be provided for hotel guests. • 9:15am: Meet at the Rafting Company (Location provided to registered guests) for safety briefing, harness (lifevest) and bus ride to Glenwood Canyon. Lodging Details will be announced once rates are confirmed. Note: Two night minimum stay required. One night non-refundable deposit required at time of booking. Staying at the host hotel is not required, but guests who don't stay at the hotel miss out on a lot of the impromptu social interactions. Poolside happy hour on Friday is included in the room rate and is open to hotel guests only. Full Day Rafting, including lunch: $$134. All necessary equipment including life vests will be provided. No experience needed. There are lockers for storing car keys and other items. We will return to the boat house at lunch so that you can check your phone, reapply sunscreen, etc. More information about gear, meet-up times and location, etc will be mailed out 1 week prior to the event. Trip is strictly for men and women 21 or over. Registration will open in mid June. The date is confirmed and guaranteed for those of you needing to make travel plans. 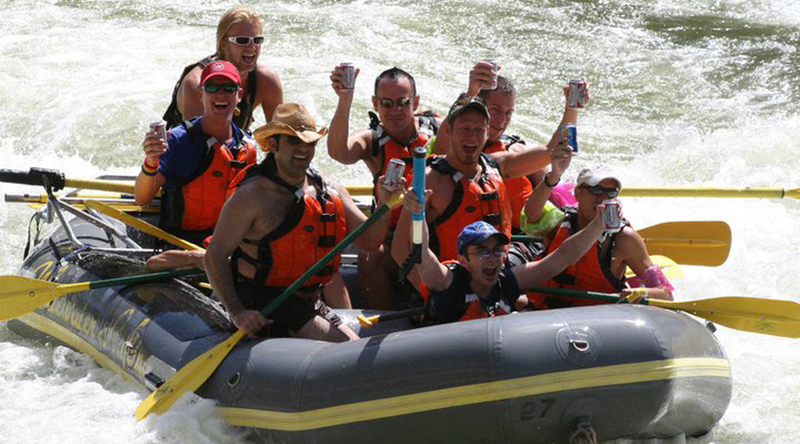 Rafting must be booked by August 11, 2019 (unless sold out sooner). Your reservation is fully-refundable until August 11, 2019, minus a $20 administration fee. Non-refundable after August 11, 2019. Trip is rain or shine. No refunds for weather or river conditions. Check the weather and river conditions before the refund deadline of August 11, 2019.